What's Her Story: Alicia Silverstone was born on October 4, 1976, in San Francisco, California as the youngest of three children to parents Monty Silverstone, a real-estate investor, and Didi Silverstone, a former flight attendant. Alicia's career began at the tender age of six when she got some modeling gigs which then led to television commercials. After a guest spot on "Wonder Years, The" (1988) she moved on to movies. She landed a role in Crush, The (1993), in which she portrayed a disturbed young lady obsessed with an older man. The role won her the 1994 MTV Movie Award for "Best Villain" and "Breakthrough Performance." The movie also caught the attention of Aerosmith, who hired her to appear in a string of music videos. While she got noticed by the MTV crowd, widespread notoriety came when she landed the role of Cher in Amy Heckerling's Clueless (1995). This time around Silverstone was a naive yet endearing girl from Beverly Hills in search of love in the nineties. The film was a huge sleeper hit at the box office and wowed both audiences and critics alike. 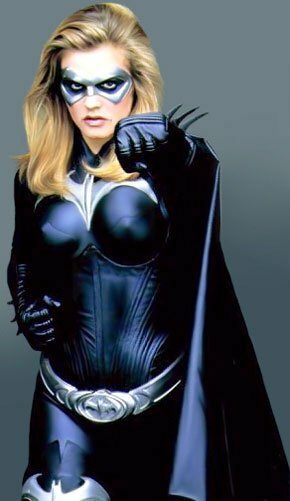 She signed a deal with Columbia Tristar worth $10 million and got the coveted role of Batgirl in the Batman franchise. Also, as part of the package, she got a three-year first-look deal for her own production company, First Kiss Productions.